Premium finishing saw with a Fluoro-Coat blade to reduce friction and protect from rust. Cuts on the pull. Oversized handle with an embedded elastomer grip. Comes with snap-in protective holster. Made in Japan. 13 TPI. 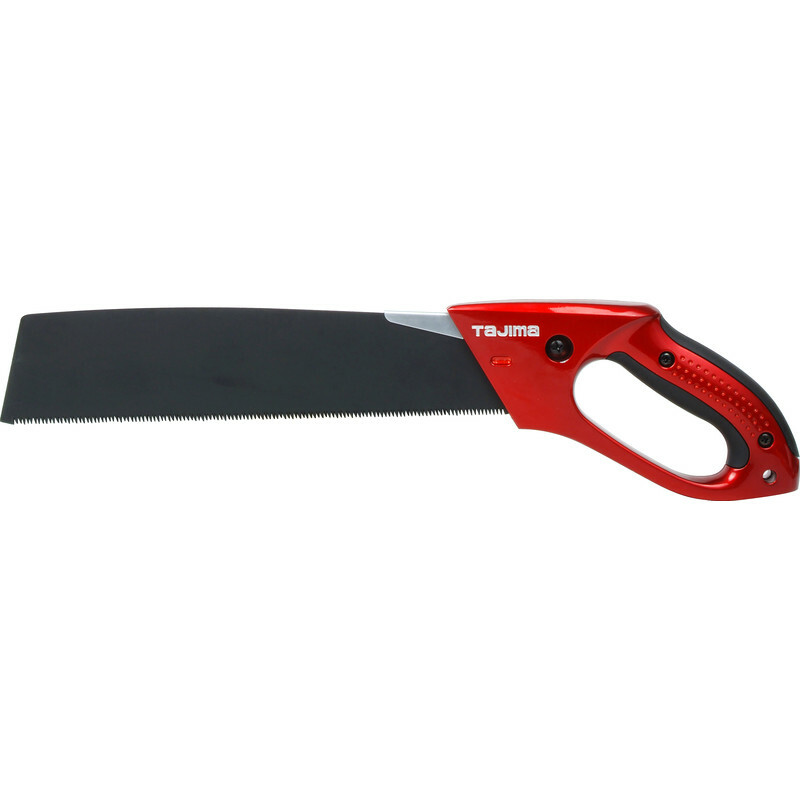 Tajima Japanese Pull Saw 300mm (12") is rated 5.0 out of 5 by 4. Rated 5 out of 5 by Poots from Superb Quality I have been using Pull Saws for a number of years but required one of better quality. Price does play a part but you do get what you pay for. This Pull Saw is of superb quality and I would not hesitate in recommending to anyone who requires good quality and ease of use.